Leading strategic communications agency Sefiani has recorded a strong start to 2017, adding seven new clients including Big Four accounting and consulting firm EY; international law firm Pinsent Masons; one of the world’s largest independent financial advisory groups, Rothschild; NSW Treasury Corporation (TCorp); telecommunications industry body The Communications Alliance; aquaculture group Seafarms; and Timezone, the world’s leading out-of-home entertainment company. In addition to the new client wins, the agency is also attracting strong interest from companies seeking crisis preparedness counsel following the high profile Dreamworld crisis late last year. “Smart companies are getting on the front foot and we’re helping them with crisis planning, preparedness and crisis drill exercises, so they are trained and ready if a crisis occurs,” said Ms Sefiani. Sefiani Communications Group is also pleased to announce two promotions: Karen Dunnicliff becomes Associate Director and Head of Sefiani’s Professional Services Practice, joining the senior leadership team. Jessie Davis, who joined the agency from New Zealand last year, has been promoted to Account Director. 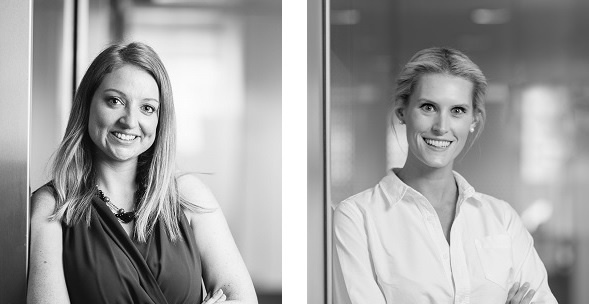 “Professional development and career progression is a hallmark of our agency, and we’re thrilled to see Karen and Jessie step up to their new roles,” said Ms Sefiani. In other news, the agency has boosted its national and Trans-Tasman service capability through affiliations with corporate and public affairs firm Clifton Group in Melbourne, and leading New Zealand communications firm Anthem. Sefiani has its own presence in Queensland, is represented in South Australia by Hughes and is the Australian representative of several global communication networks. “Sefiani is well positioned to offer best-in-class communications services and issues and crisis management across Australia and around the globe through our talented people and affiliate networks. And we do all this while retaining our entrepreneurial and independent spirit,” said Ms Sefiani.